Consider first the popular and almost ubiquitous belief that the public sector constrains and inhibits what would otherwise be a vibrant private sector with unneccesary red tape. Or that government has little role in innovation but setting the policy parameters for fair competition by corporate heroes who identify opportunities, take risks and build businesses. 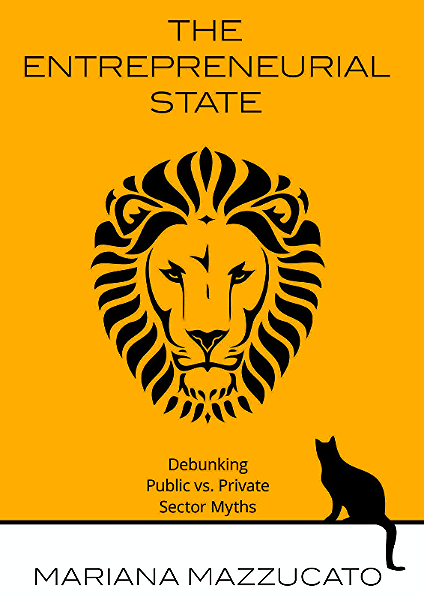 Mazzucato’s book overturns these beliefs convincingly and argues for a more realistic understanding of the role of the state in economic wellbeing. She discusses the risky and uncertain nature of innovation differentiating it both from research and development. She argues that the state has the best ability to support innovation with its capacity to fund research, to take the long view, develop the collegial links between government, academia and businesses that ensure the innovation environment is supportive. The state, is better placed to take on the risks of supporting innovation rather than business entrepreneurs, venture capitalists or large corporations. This includes support of an inevitable quotient of investments that ultimately do not bear fruit. Mazzucato also makes the point that for all the enthusiasm about small and medium enterprises (SME) as the motors of the economy it is only particular categories of SME that demonstrate rapid, innovation-based growth. She also argues that venture capitalists can be parasitic on government investment – acting only when the risks have been identified and mitigated – and that some larger share traded companies are not really fit recipients of government generated intellectual property. This occurs when the business models of these corporates – looking out for short term share owner benefits and not longer term and sustainable growth – do not lend themselves to development of a wider national prosperity. Additionally the benefits that flow to companies from the state’s involvement can lead to super-profits for which the public funders see little benefit beyond taxation – and in several recent cases not even much of that. Here Apple’s super profits are a prime example. Thus there is a strong case for a new and fairer kind of institutional arrangement that recognises the essential partnership between government-funded entrepreneurship and private sector exploitation of its results. Mazzucato also suggests that the rising green and nano-technology revolutions are unlikely to take off with their full potential unless they are sufficiently supported and funded by governments. What is the relevance of all this for New Zealand? The early 2000’s knowledge wave focus on the film and gaming industries as well as support to the America’s Cup yachting team has seen those areas – IT in the creative industries and luxury yachts – become growth areas. Earlier, government research, contracts and direction setting have been instrumental in the success of companies from Fletcher’s early contracts to build public housing (and even currently as a partner in the Christchurch rebuild) to Glidepath’s international success in baggage handling for airports which arose from an early role developing the conveyor-belt facilities at Auckland airport. The success of Sir Paul Callaghan’s company Magritek, a direct offshoot of his university department’s work in Magnetic Resonance Imaging is a modest example in the physical sciences. In agriculture government research was, and continues to be, instrumental in identifying the new knowledge that lowers risks for farmers in moving to new approaches, crops and livestock. The NZ government also supported the early tourism industry with premium quality state owned hotels at a time when this was too risky a proposition for local businesses. Finally if there were any need of proof of The Entrepreneurial State’s central premise the NZ’s government’s current winner picking, direction setting, investment and risk taking is, for good or ill, the extractive & fossil fuel industries. Government intervention has seen support to the industry in the form of publicly funded prospecting research, designing and running a scheme of competitive bidding for extraction rights, effective subsidies in the form of relatively low royalties and legislative change to loosen environmental protections. The NZ example of “state as entrepreneur” may start to deliver economic benefits for the fossil fuel and minerals sector as faithfully as the US government’s spending did for Apple and Google. However the policy appears to have been decided on by economic dogma and hoped for “easy wins” rather than the free exchange of innovative ideas between business, academia and government. In addition the threat of climate change and a lively divestment movement means that supporting carbon fuel extraction now looks like the dinosaur option. Governments definitely can deliver economic benefits beyond setting rules however the wisdom of promoting these backward looking investments will be tested. It is looking likely that the choice to support old rather than new industries and old rather than new technology will deliver economic and environmental hazards rather than benefits to New Zealand society.